Like we have said on many occasions, being a best man at someone’s wedding is a temporary career, especially if the groom (or the bride, or both of them) are really into the whole wedding thing and they want everything to be the best ever. If you are the best man at such a wedding, well, you are going to have quite an experience. One of the “duties” is also gift-giving, something that you cannot avoid. Well, not unless you want to become known as the worst best man ever and that is not what we are about here at Best Man’s Best Man. Today, we will be talking about the best man as a gift-giver, talking about all the different aspects of it, ways to avoid having to sell your kidney to pay for it and so on. In general, the couple is very aware of the fact that being the best man has already put a strain on your personal finances, what with all the parties, tuxedos and more. If the couple includes two reasonable and realistic people who have not succumbed to the wedding madness, they will not expect too much from you. On the other hand, there is the fact that you are the best man and that it is generally expected of you to do something extra. What this means is that even if you are marrying two very nice and “normal” people, there are expectations that you simply cannot ignore. Of course, there is also the option where the couple is just mad with new-found and temporary power and where they will expect you to get them a villa somewhere in Spain. If you find yourself in such a situation, we can only send you our condolences. One of the best things you can do is go for something really personal and unique. The first reason is that this will show everyone at the wedding that you really are someone special to these two people who are getting married. In order to be able to do this, you need to actually care and to be more than a regular guy who never knows what to buy people. Let’s be honest; there are plenty of us out there. 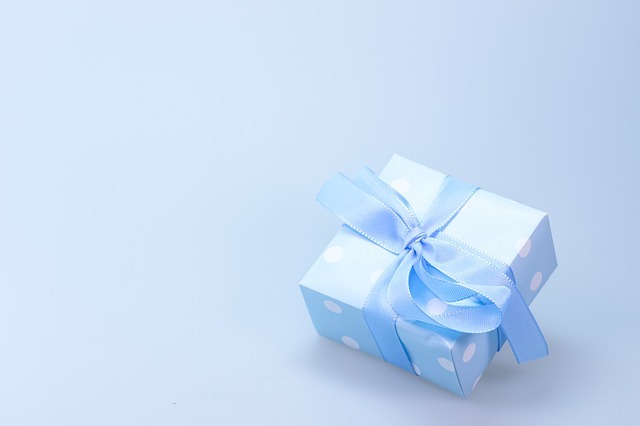 Some of us just do not see gift-giving as a particularly important part of life and if you are one of us, you might have a problem going with a personal, touching gift. A great way to still give them something that looks and feels personal without having to change your personality and undergoing a complete metamorphosis. For example, you can always find a local artist who will be able to create something unique for them. Even the most callous among us know at least two or three facts about our friends that will be enough to point this unique piece of art in the right direction. Just remember, it HAS to be romantic. You have another choice here. You can go with something generic that everyone likes or that they will have to appreciate. If you chose to do this, keep in mind one thing – it has to be expensive. Yes, if you chose generic, you cannot skimp on it. We’re sorry but that is just how things are. It would be quite pointless to list you generic wedding gift ideas. There are people who have done it much better and who have probably come up with more suggestions than we ever could. There are also entire websites dedicated to this. Some of them both sell wedding gifts and also have a section with great ideas, websites like Peters of Kensington. In short, this is a solution for best men who are lazier than others and who also have the money to spare. Can I Save Money in Some Way? We hear your cries. We have all raised our hands to heavens, asking if this money-spending ordeal will ever end and if there is a way in which this gift we have to buy will not send us straight to a point of no return. One of the most common ways in which the best man can weather this money-disappearing storm is to get in on the gift with the rest of the wedding party. Quite often, wedding parties decide to join forces and buy the couple something they could never afford on their own. Another way to go is to turn to the web to provide you with deals you just couldn’t get in traditional stores. Sure, they will have much better deals, but you can never be sure what it is you are getting. Shopping online from shady websites is not something you do when your gift is about to go through special screening, so to say. Only if you are certain about a website should you order. You always have the option of getting them something personal as we said, but as we also mentioned, you need to be a special kind of person to be able to pull that off in style. If you are, well, good for you. And there you have it. You have options but you need to be careful what you are doing. Also, you need to gauge the situation and the people involved. Some things will work in some situations, others will not. So to summarise, when buying a gift as a best man, there are rules. Do not be skimpy, don’t show the traits the groom knows you for; such as laziness and not an inch of imagination, but most importantly, don’t sell a kidney for it. If you follow this guide, you should have a decent gift in no time (fingers crossed anyway, if you’re stuck with the couple that wants the Villa as previously mentioned, you pulled the short straw).